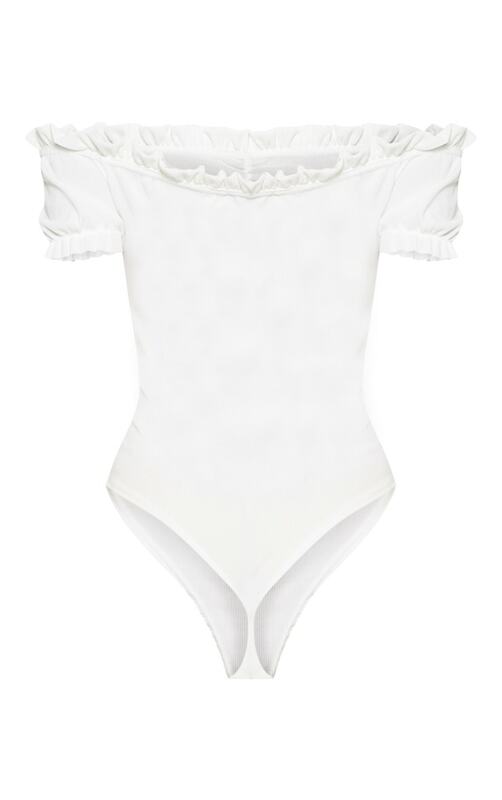 Your outfit is finally sorted with this totally cute bodysuit. Featuring a white ribbed fabric with puff sleeves and a flattering bardot neckline, what's not to love? 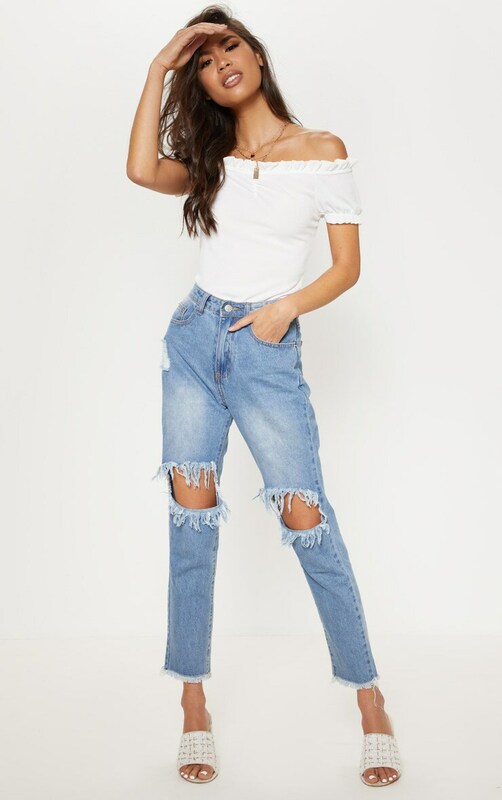 Style with ripped denim jeans and slip on mules for the ultimate day drinks look.